[0:34] <ali1234> do you have all the same hardware devices connected to the compute module as to the pi 3? [2:58] <Technicus> ali1234, I managed to successfully cross compile the kernel. [2:58] <Technicus> That was kind of fun. [2:58] <Technicus> I did not install it though. [2:58] <Technicus> I'll mess with it more tomorrow. [3:09] <Technicus> ali1234, what does that mean? [3:10] <Technicus> I'm a little dumb about these sorts of things. [3:10] <Technicus> What did I actually do? [3:10] <Technicus> I still don't quite understand device tree blobs. [4:02] <SynfulAck> Can anyone tell me if /etc/dhcpd.conf file exists? [4:15] <SynfulAck> Does raspbian even use NetworkManager? [4:21] <[Saint]> Pretty sure everything is dhcpcd now. [4:21] <SynfulAck> NM is in raspbian? [6:35] <irc_smirk> hello everyone! happy pi day! [6:37] <irc_smirk> how would i power that fan externally? [6:46] <Zardoz> irc_smirk: I have the same fans, they really dont take that much power... but you just need to have a 5V low amps like 500mA would work fine. 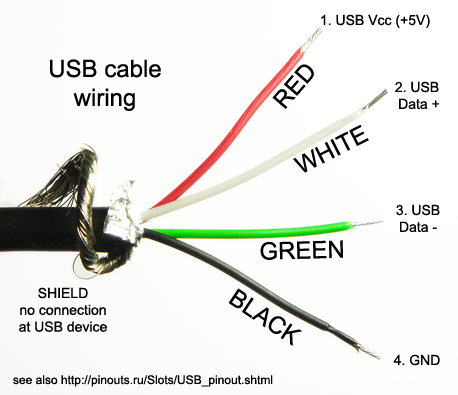 do maybe a hacked up usb cable tapped off a nother usb power supply. [6:47] <irc_smirk> what is the plug called? [6:50] <irc_smirk> you want me to strip a usb wire, and put the raw wires into the fans? [6:51] <Zardoz> what do you think you are using now? [6:53] <irc_smirk> but does that mean you can daisy chain pis? [6:55] <[Saint]> those are just headers to the 3.3/5V and GND busses direct, yes. [6:55] <[Saint]> the amount required to run the kind of fan that's not overkill on a pi is negligible. [6:56] <[Saint]> Mind you, any fan on a pi is kinda silly. [6:56] <[Saint]> Lets be honest. [6:57] <nattyrice> why is my raspberry pi 2 stuck on this rainbow square? [6:57] <Zardoz> nattyrice: bad load? [7:00] <Zardoz> I am sorry but that just made my evening,. [7:03] <irc_smirk> just from usb? [7:07] <nattyrice> Zardoz: give all i've tried, do you have any other suggestions? [7:07] <Zardoz> nattyrice: do you have a nother sd card? [7:08] <Zardoz> also what pi do you have and power supply? [7:12] <Zardoz> love that case. [7:12] <nattyrice> Zardoz: sorry didn't see that question. Pi 2, "CanaKit 2.5A Micro USB Power Supply with Noise Filter (UL Listed) specially designed for the Raspberry Pi 2 (5-foot cable)"
[7:13] <Zardoz> nattyrice: oh then you are good on that part. it does sound like a bad load. [7:13] <Zardoz> nattyrice: that would be my guess. [7:14] <Zardoz> irc_smirk: it surprising works well. [7:15] <Zardoz> I have that open fan, but dont use it now. [7:15] <Zardoz> just one blowing across. [7:26] <Lartza> Is there a limit to the ridiculousness of BTC mining? [7:28] <Zardoz> for me it was more about the technology. it was just a learning experience. [7:32] <Zardoz> the people making the real money are the asic manufactures that sell the miners. [7:33] <Zardoz> yeah there was a lot of tha t going on. [7:33] <Zardoz> it's very reminiscent of the old gold rushes. [7:35] <Zardoz> think of all the money spent to do that though. [7:37] <Zardoz> not saying he is not making money though. [8:00] <shiftplusone> I don't see things ending well when the early adopters start retiring. [8:16] <shiftplusone> The value of most things is driven by supply and demand. Supply is increasingly scarce by design. The people who got it early will have the bulk of the bitcoin. When they start selling in order to buy things, supply will increase massively an the value will drop respectively. Don't you already see huge sales leading to huge drops in value? I don't think all of the early adopters will hold on forever. [8:17] <shiftplusone> It feels like there will be a lucky few who cashed out at the right time and the rest will be left with... probably no nothing, but not the millions they think they have. [8:18] <shiftplusone> Maybe the scarcity will still keep the value going up in the long run, or maybe people will ditch bitcoin for something new that comes along. I have no idea. [8:19] <irc_smirk> you mean like old grampa retiring? [8:20] <shiftplusone> but they will get old some day and holding won't make a lot of sense. [8:22] <shiftplusone> Right, then aren't you agreeing that the value of bitcoin will peak and crash at some point? [8:26] <shiftplusone> I'm having trouble understanding how you can say that it will have a long term effect on the economy but also that it won't be around in 20 years. To have an effect on the economy, people would need to cash out. To cash out, the value would have to drop. People who don't cash out lose everything when bitcoin is no longer relevant. I am probably missing something though. [8:27] <irc_smirk> well is it realistic it could hit 100k? [8:30] <shiftplusone> mfa298: aye, but the bitcoin fans will say it will always recover, so any crash is temporary. [8:32] <shiftplusone> irc_smirk: because if you dump 1 million worth of bitcoin and others do the same. The value is maintained only if there are buyers willing to pay, which won't be the case if the trend becomes selling, especially when people are moving from bitcoin to something else. [8:33] <shiftplusone> When bitcoin is no longer relevant how much will it be worth? [8:34] <shiftplusone> and how much will it be worth then? [8:35] <shiftplusone> So how will everyone get their investment back if nobody is willing to buy it at that price? [8:36] <oq> why do us banks need a crypto over the existing currency? [8:37] <shiftplusone> oq: government might be interested because it's easy to track all of the transactions. [8:38] <shiftplusone> Anyway... I should do some work or something. [9:48] <gloomy_> But I can't ssh into it and it doesn't show up when I do a network scan, any idea what I might be doing wrong? [9:50] <gloomy_> Ah, well, the ethernet wire wasn't plugged into the PI. That might explain it. [10:23] <oq> gloomy_: you enabled ssh right? [13:37] <kerio> what's it supposed to mean, "wireless fidelity"? [13:49] <SpeedEvil> as long as it has wired equivalent privacy, it'll be fine. [14:57] <red9> mlelstv, Guess that's a RPi-3 ? [15:21] <mfa298> Muntaner: you might have to compile a php that old from scratch, although if the CMS is that old it might be better to find something a bit more recent. [15:22] <Muntaner> mfa298: I can try to compile it. If I install an old RaspBian and set up the repositories, do I have any changes to directly install that version of PHP? [15:28] <mfa298> Muntaner: you may be able to get wheezy to run on a pi3, but a quick google suggests that's php5.4. [15:29] <Muntaner> mfa298: that's exactly what happened me yesterday :/ do you know any other distros which I could run on my Rasp? [15:30] <mfa298> I doubt there's anything with such an ancient verion of php. [15:31] <mfa298> and I'd be worried about running anything using such an old version anywhere near the internet. [15:38] <benoliver999> Do you know where I might start to look for debugging? [15:44] <red9> Muntaner, If one of those lawyers can't stop themselfes from clickbait. The local network will be accessible from the outside and any unsecured services will be p0wned. [15:45] <red9> mlelstv, does that NetBSD work for RPi2 as well? [15:56] <mlelstv> red9, 64bit doesn't work on rpi2, that is the original rpi2. [15:57] <red9> which netbsd port works on rpi2? [15:57] <red9> btw is netbsd stable on rpi2/rpi3 ? [16:01] <red9> ah netbsd/evbarm is for RPi2. [16:02] <pwillard> Not holding my breath on 64 bit. [16:03] <red9> how is freebsd on RPi-3 ? [16:06] <red9> pwillard, any particular reason? [16:07] <red9> Hopefully there's a cheaper alternative to the RPi-2. The Raspberry project seems to be loosing focus by going for high performance, but with a high price tag. [16:11] <Pauluz> can someone help me out? [16:12] <red9> mfa298, but the rpi3 is essentially a 2x price hike. [16:13] <mfa298> red9: compared to what ? [16:14] <Pauluz> Can I get some help from experienced pi-owners? [16:16] <red9> mfa298, here it's been essentially 24 US$ for rpi2 vs 48 US$ for rpi3. [16:18] <mlelstv> I have yet to see a rpi2 v1.2, which is more a stripped rpi3. [16:19] <shiftplusone> Both. I know some countries have problems because of high import taxes, shipping costs or additional certification requirements which bump the price up. Wouldn've thought that in Sweden you'd be able to get them at a more reasonable price. [16:19] <shiftplusone> And that being in Europe, the availability of various models would be about the same. [16:21] <red9> people are buying from China in droves. Time to drop the local market. [16:22] <red9> So what are your prices and where? [16:24] <red9> mlelstv, in my opinion that is too much for a rpi thing. [16:27] <mlelstv> the only reason would be an appliance with rpi2 inside that can't handle the slight changes done for rpi3. [16:27] <shiftplusone> mlelstv: it's not even available on amazon in sweden? [16:28] <mlelstv> not amazon directly, marketplace. [16:29] <mlelstv> "Verkauf durch Almost Anything Ltd und Versand durch Amazon. " [16:31] <red9> I would like the RPi2 with SMPS power conversion and real Ethernet directly attached via RMII or MII bus. [16:31] <red9> and a low price. Even if that would mean like 256 MB of RAM etc. [16:31] <mfa298> RS look to have some of the original Pi2 still, but I suspect they'll only exist until all the BCM2835 have been used. [16:32] <red9> How many layers is the rpi2? [16:32] <mlelstv> rpi0 is also BCM2835 but for some reason faster. [16:37] <red9> mfa298, Nevada is only laggy internet? [16:42] <red9> rpi2 version 1.2 that is. [16:42] <red9> Will it boot a 32-bit OS? [16:46] <red9> otherwise I'll guess some rpi2 buyers will be unhappy ..
[16:51] <red9> pwillard, what's the price for Pi3 then? [16:53] <Technicus> I think that /build and /source are symbolic links. How do I deal with that? [16:53] <Technicus> I mean how do I move those directories and their contents? [16:53] <pwillard> create the links you need? [16:54] <Technicus> Hello, I cross compiled the kernel to enable the GPIO key matrix module support. [16:54] <Technicus> so that I could see what files it created. It creates ../lib/firmware/modules/4.9.65+/build and source. [16:54] <red9> I wonder how many rpi2 clones one would need to make to approach the unit cost of the real one..
[16:54] <Technicus> I tried copying them to the SD card, but I get errors. [16:55] <BurtyB> Technicus, and the error was? [16:56] <Technicus> The file is already there. [17:02] <mitmf> hello, wifi chipset installed on raspberry pi is not good? [17:03] <BurtyB> Technicus, what distro are you running? [17:04] <Technicus> Arch to cross compile and RetroPie. I connect to the RaspberryPi through the fish protocol as root through the Dolphin file browser. [17:05] <rainingimpala> Hey, folks! How many services can I run from an RPi? [17:05] <rainingimpala> How would I figure that out? [17:06] <rainingimpala> Do I have to check how many, and what, ports are open? Can I run a service from each open port? [17:06] <mitmf> hello, wifi chipset installed on raspberry pi is not good? No one is here? [17:07] <rainingimpala> So what would be my limiting reagent, so to speak? [17:08] <red9> memory and TCP/UDP ports. [17:09] <Technicus> How do I specify selecting a different kernel at boot? [17:09] <rainingimpala> And configure things from there, adding Pis as resources on one runs out? [17:10] <rainingimpala> This is all really helpful, btw, thanks y'all! [17:10] <red9> Even the C64 a 8-bit @ 1 MHz 64 kB system can do TCP/IP using ConTiki. So it's not that taxing. [17:32] <Technicus> Well it seems to have worke so far!!! [17:50] <rendar> how i can make a backup of my rasp sd card image, with dd+zcat? [17:58] <gordonDrogon> is it a good idea to use dd ? [17:59] <gordonDrogon> when I have to, I use rsync. Put SD card into other Linux system, and rsync the files off. [17:59] <gordonDrogon> if you use dd then you need to copy the whole image back to an SD card that needs to be at least the same size or bigger. [18:00] <gordonDrogon> then use tar. [18:01] <gordonDrogon> you think dd+zcat will be any less enormous? [18:05] <gordonDrogon> that'll help with the compression. [18:06] <gordonDrogon> fill the SD card up with zeros - that'll overwrite data held in files you've deleted/changed/moved. [18:42] <gordonDrogon> kerio, sod it - if someone is going to dd an entire SD card then I don't really care. [18:42] <gordonDrogon> and I'm not convinced fstrim works on sd cards anyway. [18:43] <gordonDrogon> I would like to be proved wrong though. [18:46] <gordonDrogon> if that's true, why isn't it the default? [18:56] <gordonDrogon> I have decided to test this for myself, since no-one is saying anything to prove it one way or the other. I will let you knoe in due-course. [19:25] <[Saint]> That's been the case for two years or more easily. [19:25] <[Saint]> The Pi hasn't been the /best/ for a very long time. [19:25] <[Saint]> Just the most readily available and widespread. [19:26] <[Saint]> Well...if you ignore the Zeros exist. [19:26] <[Saint]> Good luck finding them. [19:34] <irc_smirk> is there a way to have the usb ports of a pi 3 power the pi zeros? [19:35] <irc_smirk> does it give off enough power for everythign to stay lit? [20:16] <Technicus> Hello, so I recompiled the kernel and installed it, made a device tree: < https://pastebin.com/guf2WA1P >, but lsinput does not see it. I am not sure where I went wrong. How can I find out? [20:21] <ali1234> Technicus: did you load it from config.txt? [20:47] <ioan> any idea how do I install php? [20:50] <ioan> what about ffmpeg? It used to work, 100% sure a month ago I was able to install it. Now it's not available anymore? [20:53] <bub_> I'm not sure, what do you mean ffmpeg was working? the libraries? or some mediaplayer? [20:59] <bub_> yeah, I'm seing that too.. but.. "Libav is a fork of FFmpeg that can be found in the Debian repoositories"
[21:02] <plugwash> bub_, which version of Debian? [21:25] <ioan> what's the latest version? [21:27] <ioan> mfa298, thanks. I'll have to do a new install on my test pi to see if that works. [22:30] <Smeef> I found the perfect mint tin to turn into my next stealth pi zero w project!